Among the hundreds of thousands observing today’s events, I’m certain that one person in particular will be closely watching. And it’s not who you may expect. Nancy Duarte, persuasion expert and bestselling author of Resonate: Present Visual Stories that Transform Audiences and slide:ology: The Art and Science of Creating Great Presentations, has studied Dr. King’s speech to determine the “magic that makes it memorable”. 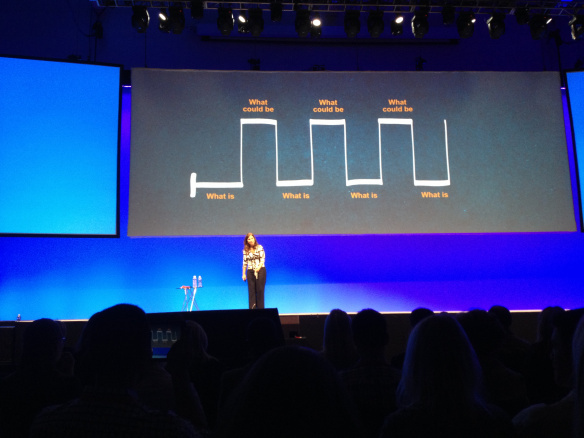 Last week at Inbound 2013, I sat in on Nancy’s session on how to influence through verbal communications. With references to Dr. King’s “I Have A Dream” speech (as well as speeches from Evita), Nancy revealed the common pattern of great speeches. 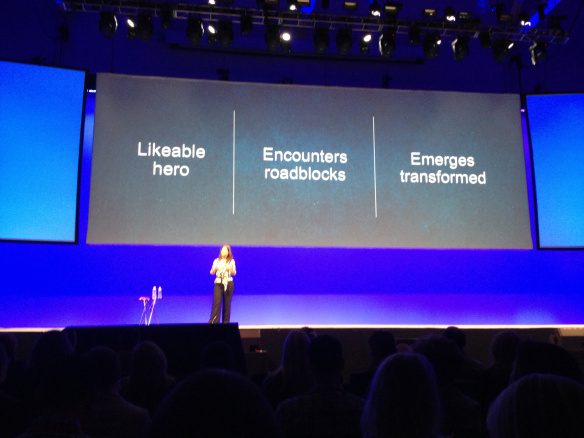 First, she showed how they feature a likeable hero who encounters roadblocks and emerges transformed. From there she showed how to structure a presentation to build a meaningful connection with an audience and compel them to action. Isn’t that what we’re trying to do with prospective students in MBA information sessions? Here is some inspiration from Nancy’s talk so you can boost conversion rates from MBA information sessions and increase applications. As you refresh your MBA information session presentation for the new recruitment cycle, consider incorporating a pattern which alternates between “what is” and “what could be” and ends with a new bliss. There was so much more to Nancy’s talk. Rather than transcribing my notes here, I think the best way for you to experience in full is to watch Nancy in action. While there isn’t a video (at least not yet) of her talk at Inbound13, I found this similar video online analyzing Dr. King’s speech. It’s excellent and only takes 7 minutes to watch. So, go out and inspire prospective students in your MBA information sessions this year. 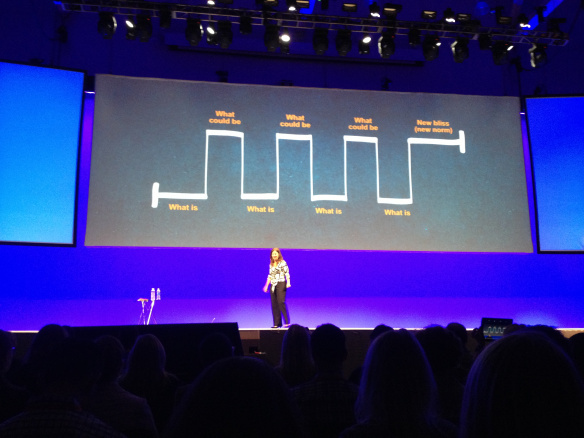 Nancy shows us how stories can move people to change the world. How will you attract the future generation of business leaders to your business school so they can change the world?